Match ends, Nantes 0, Lyon 6. Second Half ends, Nantes 0, Lyon 6. Attempt missed. Sergi Darder (Lyon) right footed shot from the left side of the box misses to the right following a corner. Corner, Lyon. Conceded by Mariusz Stepinski. Corner, Lyon. Conceded by Diego Carlos. Corner, Lyon. Conceded by Lucas Lima. Attempt missed. Abdoulaye Touré (Nantes) right footed shot from outside the box misses to the left following a corner. Corner, Nantes. Conceded by Mouctar Diakhaby. Foul by Maciej Rybus (Lyon). Goal! Nantes 0, Lyon 6. Nabil Fekir (Lyon) left footed shot from the left side of the box to the centre of the goal. Assisted by Sergi Darder with a through ball. Foul by Wilfried Moimbé (Nantes). Substitution, Lyon. Jordan Ferri replaces Maxime Gonalons. Goal! Nantes 0, Lyon 5. Mouctar Diakhaby (Lyon) header from very close range to the top right corner. Assisted by Mathieu Valbuena with a cross following a corner. Corner, Lyon. Conceded by Rémy Riou. Attempt saved. Corentin Tolisso (Lyon) left footed shot from the left side of the box is saved in the centre of the goal. Assisted by Mathieu Valbuena. Attempt missed. Mariusz Stepinski (Nantes) left footed shot from the left side of the box is close, but misses the top left corner. Assisted by Emiliano Sala. Substitution, Nantes. Wilfried Moimbé replaces Guillaume Gillet. Corner, Nantes. Conceded by Rafael. Attempt saved. Emiliano Sala (Nantes) right footed shot from the left side of the box is saved in the centre of the goal. Assisted by Diego Carlos with a through ball. Attempt missed. Sergi Darder (Lyon) right footed shot from the left side of the box is too high. Assisted by Nabil Fekir. Amine Harit (Nantes) wins a free kick in the defensive half. Foul by Mathieu Valbuena (Lyon). Guillaume Gillet (Nantes) wins a free kick in the defensive half. Goal! 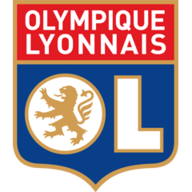 Nantes 0, Lyon 4. Mathieu Valbuena (Lyon) right footed shot from the left side of the box to the bottom left corner. Assisted by Sergi Darder. Substitution, Nantes. Emiliano Sala replaces Nicolaj Thomsen. Foul by Amine Harit (Nantes). Attempt missed. Mariusz Stepinski (Nantes) left footed shot from the centre of the box misses to the left. Assisted by Lucas Lima with a cross following a corner. Substitution, Nantes. Jules Iloki replaces Alexander Kacaniklic. Attempt blocked. Rachid Ghezzal (Lyon) left footed shot from the left side of the box is blocked. Assisted by Mathieu Valbuena. Offside, Nantes. Lucas Lima tries a through ball, but Nicolaj Thomsen is caught offside. Amine Harit (Nantes) wins a free kick on the right wing. Attempt blocked. Maciej Rybus (Lyon) left footed shot from outside the box is blocked. Assisted by Mouctar Diakhaby. Attempt missed. Alexander Kacaniklic (Nantes) right footed shot from a difficult angle on the right misses to the right. Assisted by Lucas Lima with a cross. Second Half begins Nantes 0, Lyon 3. First Half ends, Nantes 0, Lyon 3. Attempt missed. Alexandre Lacazette (Lyon) left footed shot from the left side of the six yard box is too high. Assisted by Sergi Darder following a fast break. Corner, Nantes. Conceded by Maciej Rybus. Hand ball by Maxime Gonalons (Lyon). Attempt saved. Rachid Ghezzal (Lyon) left footed shot from outside the box is saved in the bottom left corner. Assisted by Corentin Tolisso. Goal! Nantes 0, Lyon 3. Maxime Gonalons (Lyon) left footed shot from the centre of the box to the centre of the goal following a corner. Corner, Lyon. Conceded by Oswaldo Vizcarrondo. Attempt blocked. Corentin Tolisso (Lyon) left footed shot from outside the box is blocked. Assisted by Mathieu Valbuena. Goal! Nantes 0, Lyon 2. Alexandre Lacazette (Lyon) converts the penalty with a right footed shot to the bottom left corner. Oswaldo Vizcarrondo (Nantes) is shown the yellow card for a bad foul. Penalty Lyon. Mouctar Diakhaby draws a foul in the penalty area. Penalty conceded by Oswaldo Vizcarrondo (Nantes) after a foul in the penalty area. Corner, Lyon. Conceded by Léo Dubois. Attempt blocked. Rachid Ghezzal (Lyon) left footed shot from outside the box is blocked. Foul by Guillaume Gillet (Nantes). Dangerous play by Maciej Rybus (Lyon). Rachid Ghezzal (Lyon) hits the bar with a left footed shot from the right side of the box. Assisted by Alexandre Lacazette. Attempt missed. Alexander Kacaniklic (Nantes) left footed shot from outside the box is close, but misses to the left. Assisted by Amine Harit. Attempt blocked. Mathieu Valbuena (Lyon) header from the centre of the box is blocked. Assisted by Rafael with a cross. Attempt missed. Alexander Kacaniklic (Nantes) right footed shot from the centre of the box misses to the left. Assisted by Guillaume Gillet. Attempt missed. Guillaume Gillet (Nantes) right footed shot from the centre of the box misses to the right. Offside, Nantes. Nicolaj Thomsen tries a through ball, but Mariusz Stepinski is caught offside. Foul by Rachid Ghezzal (Lyon). 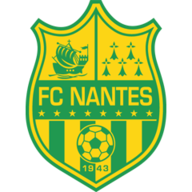 Amine Harit (Nantes) wins a free kick on the left wing. Attempt missed. Mariusz Stepinski (Nantes) header from the centre of the box is too high. Assisted by Lucas Lima with a cross. Attempt blocked. Alexander Kacaniklic (Nantes) left footed shot from the centre of the box is blocked. Goal! Nantes 0, Lyon 1. Corentin Tolisso (Lyon) right footed shot from very close range to the centre of the goal. Assisted by Rafael. Foul by Mariusz Stepinski (Nantes). Attempt missed. Mathieu Valbuena (Lyon) right footed shot from the left side of the box is high and wide to the right. Assisted by Corentin Tolisso. Attempt saved. Mathieu Valbuena (Lyon) right footed shot from outside the box is saved in the top left corner. Mathieu Valbuena (Lyon) wins a free kick in the attacking half. Attempt missed. Nicolaj Thomsen (Nantes) left footed shot from the left side of the box is high and wide to the left. Offside, Nantes. Amine Harit tries a through ball, but Nicolaj Thomsen is caught offside. Corner, Nantes. Conceded by Sergi Darder. Sergi Darder (Lyon) wins a free kick on the right wing. Alexandre Lacazette (Lyon) wins a free kick in the defensive half. Guillaume Gillet (Nantes) wins a free kick on the left wing.